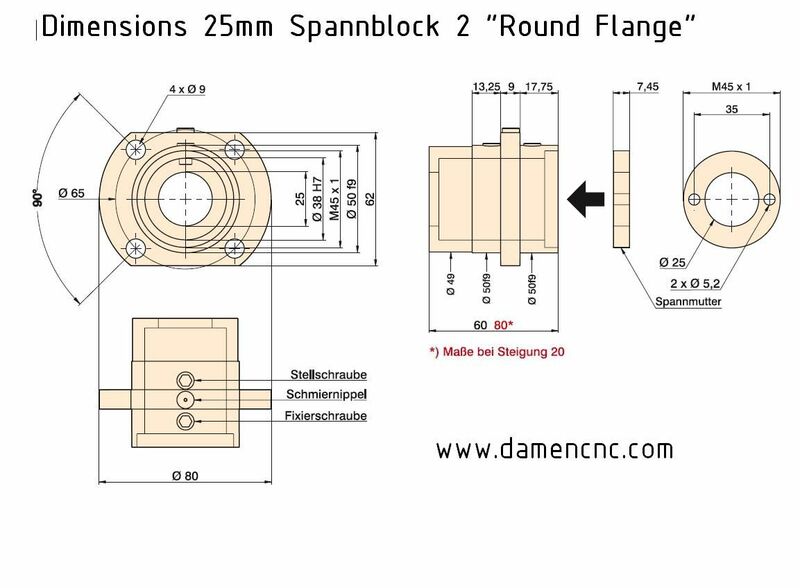 ISEL SpannBlock 2 for 25mmØ 5-10mm pitch Round Flange (213 700 9003) | DamenCNC B.V. 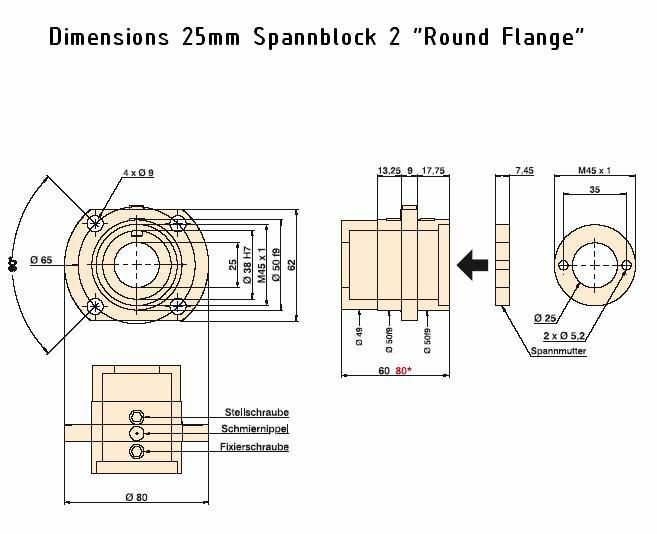 Round Flange Housing for ISEL 25mm Ballnuts Variant 3. Compatible only with 5mm and 10mm pitch, the 20mm version is longer and does not fit. 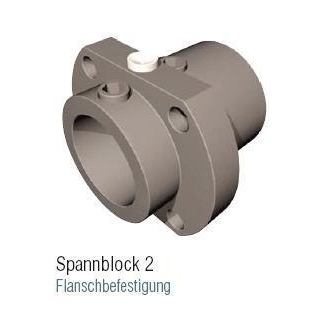 There is a special version that does allow this ballnut to fit.